The press and indeed, even the President of the United States, have been talking about the new technology Fiat is offering Chrysler and bringing to the US. 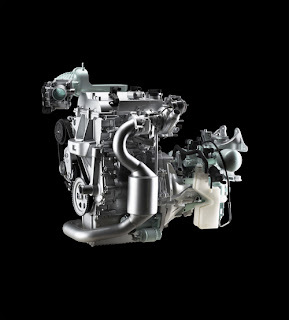 One of the new technologies Fiat is bringing to the New Chrysler Corp. is the SGE modular engine. Developed by Fiat Powertrain Technologies (FPT), it represents the most advanced solution currently available on reducing fuel consumption, CO2 emissions and achieving the same performance as a large engine. The concept behind this new engine is the downsizing from a conventional 4-cylinder engine to a 2-cylinder turbocharged engine that incorporates the innovative Multiair electronic inlet valve control system. In addition to advantages in terms of fuel consumption, the twin-cylinder engine also results in a 20% reduction in weight and 25% in volume inside the engine bay compared to a 4-cylinder engine with the same power output. 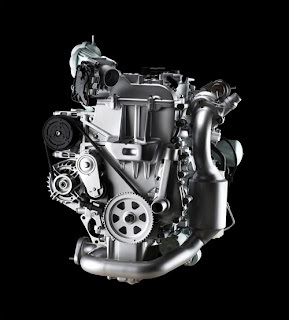 The SGE (Small Gas Engine) is a modular engine system built on the single cylinder displacement of 450cc. In the two cylinder, 900cc version, it can come as naturally aspirated or turbocharged or as a CNG natural gas version. The maximum output achievable by the new twin-cylinder engine, in the turbocharged, Mono Fuel gasoline form is 105 hp (a 65 hp aspirated version, also equipped with the Multiair system, is under development). In addition, there are 80 and 90 horsepower versions available. The SGE engine family adopts a crankshaft balancing system that significantly reduces vibration and noise levels compared to other two and three cylinder engines. The innovative Multiair variable valve actuation technology developed by Fiat is heralded for its relative simplicity, low power requirements, intrinsic fail safe nature and low cost potential. The Multiair system controls the air intake in gasoline engines without the usual throttle valve, and therefore offers a greater degree of flexibility than mechanical timing systems. In stead of a conventional throttle valve, this electro-hydraulic valve activation technology works in conjunction with the camshaft and intake valve to alter the valve lift. This allows the valve lift to be modified in response to the request for air from the engine and to the running speed. Different strategies can be employed (Early inlet valve closing – EIVC, Late inlet valve opening – LIVO, or Multi-Lift) to optimize combustion efficiency, with considerable benefits in terms of power output, torque, consumption and emissions. Another advantage of this system is the fact that the air pressure upstream of the valves is always constant. This characteristic, combined with the high system activation dynamics (from partial load to full load in one engine cycle) allows the torque response of the engine to be increased (up to 20% more torque at lower rpm compared to conventional systems) without any delay, on both an aspirated and a turbocharged engine, increasing the ‘fun to drive’ factor. This innovative Fiat SGE, when combined with Fiat's Stop&Start system (that turns the engine off temporarily and starts it again, when the engine is idling and the vehicle is stationary, thus saving 10% reduction in consumption in the urban cycle), promises to offer outstanding fuel economy. In addition, the intake manifold is also a space saving, integrated design that lends itself well to the Hybrid version that is being developed. This compact Hybrid system consists of an electric motor built into a special transaxle. The hybrid system is set to revolutionize hybrid cars as it is the first compact system that can be fit into smaller A and B segment cars. Previously, hybrid systems tend to be bulky and are usually used in much larger cars and SUV's. Starting next year, the Fiat SGE in various forms is slated to power the New Fiat 500 and Fiat Panda as well as the upcoming Fiat Topolino city car. 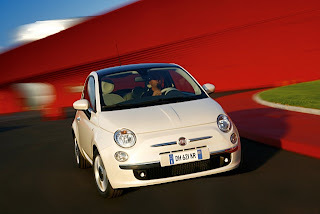 This exciting engine technology is just some of what Fiat is bringing to the US. There are other advancements in the wings such as an update to the common rail diesel technology that Fiat invented in 1997, Fiats hybrid technology and a new dual clutch transmission.